Canadian Kayak Company: Kayak Spotlight: "Khatsalano"
kat-sa-la-no - A Coast Salish term meaning "Lord of the Lake"
If you love speed, graceful lines and Greenland-style paddling, the Khatsalano is the kayak you belong in. Built around the traditional skin kayak concept, the Khatsalano is intended for kayakers with good rolling and bracing skills. It carves turn with only a slight lean and has a fast cruising speed. The lines of the boat are reminiscent of a Lawren Harris painting, sharp but fluid angles that reflect the environment they travel over. With its narrow fit, the paddler and the boat become one. For the intermediate paddler, Feathercraft has produced the Khatsalano-S. This kayak is cut fuller than its skinnier sibling. The sponsons sit higher, making for a slightly wider beam for increased stability. You don't have to have a black belt in rolling to paddle this boat. 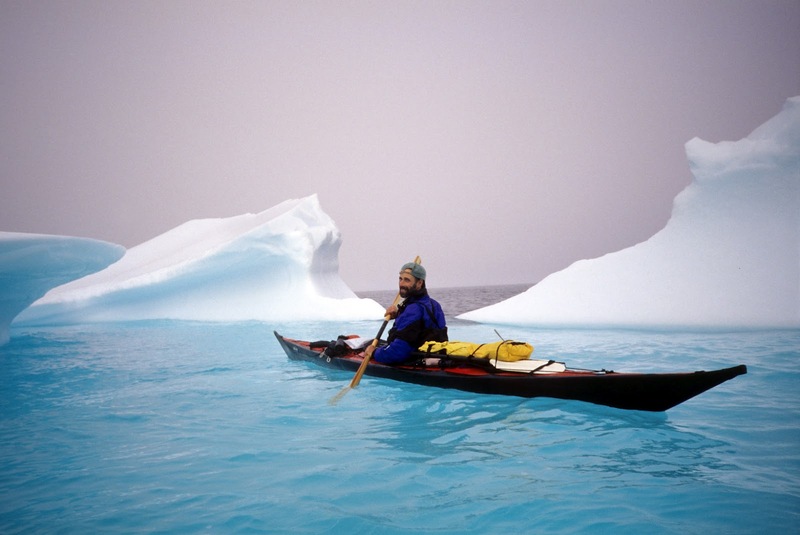 Interesting Fact: Greenland-style paddling reflects the original needs of the Inuit people. In case of a harpoon line entanglement, Inuit paddlers needed to be able to roll their boats with ease.